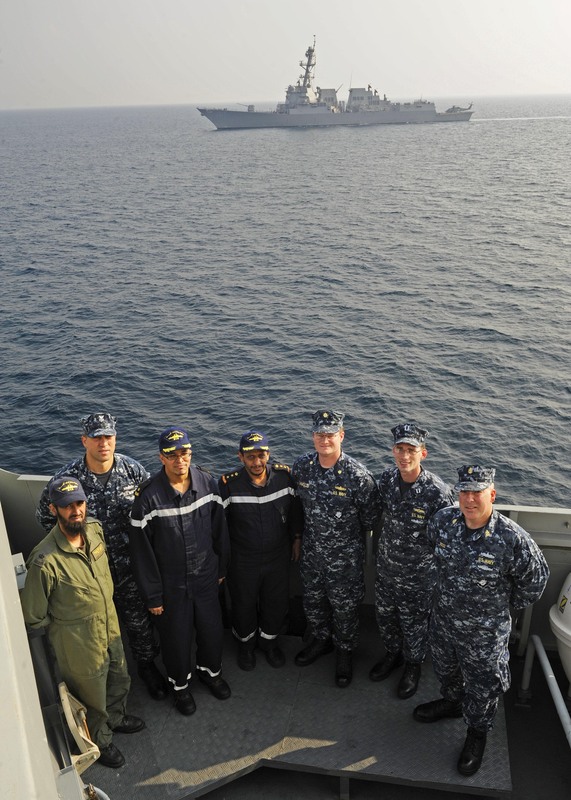 Whilst operating in the southern Red Sea, the Royal Saudi Naval Forces frigate RSNF AL DAMMAM rendezvoused with USS DEWEY, an Arleigh Burke-class destroyer over the period 5-6 January 2012. The PASSEX commenced with the establishment of UHF communications between the two ships, which are both working under Combined Task Force (CTF) 150, as part of the Combined Maritime Forces (CMF) which patrols the Red Sea, Gulf of Aden, Indian Ocean and the Gulf of Oman. Evolutions included a flashing light exercise and an International Code of Signals quiz. The interaction enabled various communications drills and networks to be tested. CMF is a multi-national task force which exists to create a lawful and stable maritime environment free from terrorism, smuggling and other illegal activities. As the principal mission is to deter, disrupt and defeat such activities the continued promotion of stable and cooperative relationships with nations in the region is a key objective for member nation’s assets while supporting CTF 150 operations.